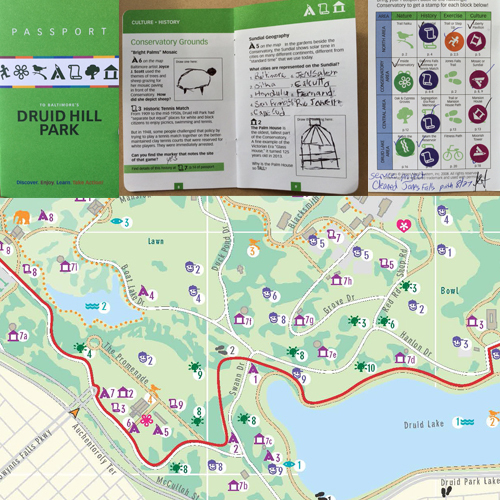 Green Mapmaking was central to the 'Charting Sustainability in the Real World' course developed and taught by our director and longtime strategist, Dr. Robert Zuber at New York University's Gallatin School of Individualized Study. Among the more lasting outcomes, a student's Green Map of New York University facilities contributed to the formation of a campus wide sustainability program. 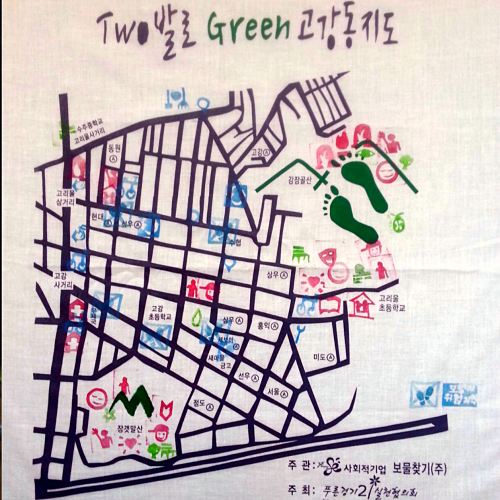 In 2009, working under an NYU Green Grant from that program, the NYU Open Green Map got underway. With NYU student interns, we created a resource guide for educators, and tourism management students were the first to utilize it. Interns from planning, environment, media and education programs continue to work with us. Bala Mulloth, a 2010 Stern School of Business doctorate student also researched our movement's unique contribution to the clean tech revolution. 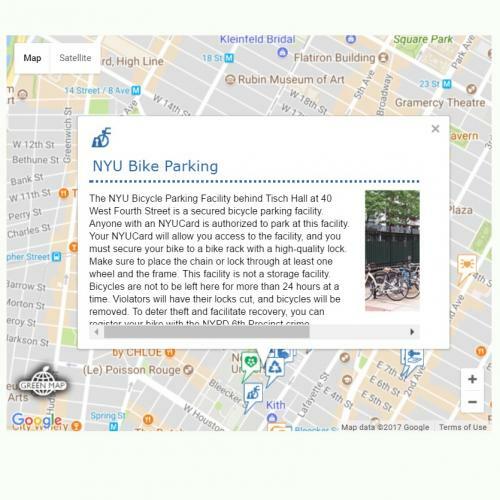 This map garnered contributions of 56 different sites, both on and off campus and which range from NYU’s bike share program to a Renewable Energy Generation program at the Tisch School of the Arts. NYU Bobst Library also helped us organize our Archive of Green Maps, which is now housed at the main branch of the New York Public Library, in the esteemed Map Room.